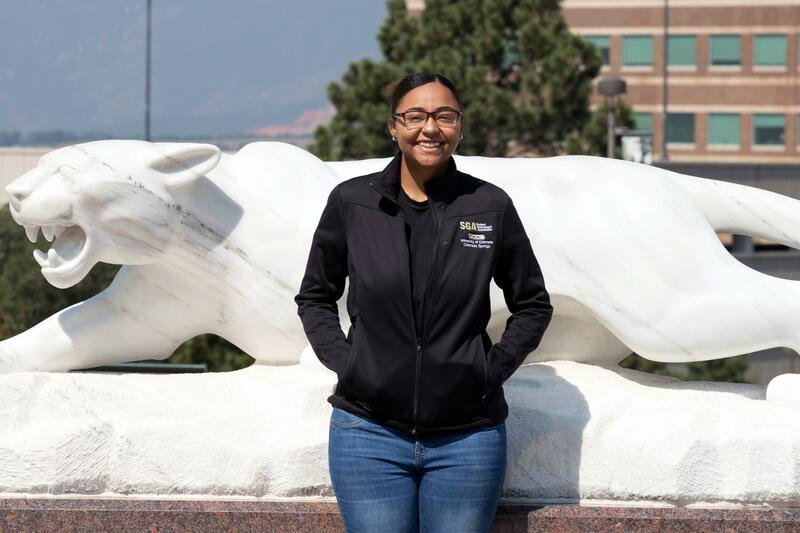 Sierra Brown, a senior English student and president of Student Government Association, will join the CU Presidential Search Advisory Committee as the undergraduate student representative. She was added to the committee on a 5-4 vote by the Board of Regents during the public session Nov. 8 in Berger Hall. Brown is chair of the Intercampus Student Forum, which represents students on all four campuses to the Board of Regents. She was elected president of UCCS SGA in spring 2018 and oversees a budget of $350,000 for student programming and initiatives. The Regents added a representative from the CU Foundation and an undergraduate student representative to the Presidential Search Advisory Committee in accordance to Regent Policy 3 (E). The board selected Margaret Bathgate as the foundation representative. Brown was one of two students nominated and was selected on the 5-4 vote by the Regents. Brown joins Chris Bell, associate professor in the Department of Communication, and Pam Shockley-Zalabak, chancellor emerita, as members on the committee with UCCS connections. The search committee received its charge from the Board of Regents after the new representatives were added. The committee will assist the Board of Regents, which is responsible for naming the next president. Bruce Benson announced that he plans to retire from CU in July after 11 years at the helm. He is the longest-serving CU president in 65 years.